The Automotive Development Kit from TOPOSENS, unveiled at HANNOVER MESSE 2019, aims to help automobile manufacturers unlock the potential of 3D ultrasound-based near-field vision - both for current series-production vehicles and for future autonomous models. 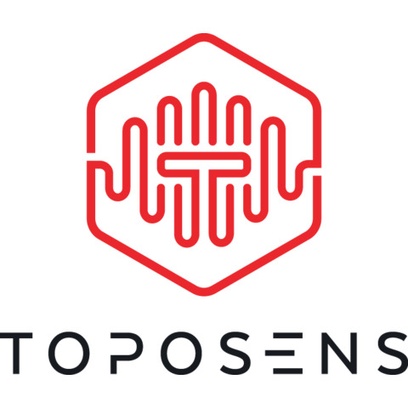 From its earliest days, TOPOSENS, a startup founded in Munich in 2015 by Alexander Rudoy, Rinaldo Persichini and Tobias Bahnemann, has used the international setting of HANNOVER MESSE to showcase itself and its innovative solutions to decision-makers from all over the world. Since then, the young team has even ventured across the Atlantic, opening its first branch in Sunnyvale, California, to intensify contact with local robotics specialists and research centers. However, it still does most of its business in Germany, which was reflected at its stand when it returned to the recent HANNOVER MESSE, where exhibits included its new Automotive Development Kit for near-field vision in autonomous cars. The TOPOSENS DevKit is aimed at automobile manufacturers that install 3D ultrasound technology themselves and wish to perform their own tests. Consisting of four 3D ultrasound sensors, a control unit and a graphical user interface, the Automotive DevKit is ideal for reliably detecting moving and stationary objects alike. Specially optimized algorithms that run on a chip in the sensor system enable the sensor to perceive its surroundings in 3D, similar to the way a bat does - and all in real time. The sensor thus combines the benefits of affordable, tried-and-tested ultrasound hardware with the data quality and range of complex 3D sensor systems. This unique mix of highly developed software and conventional hardware produces a 3D sensor that can be integrated perfectly into automotive applications.